Visit me at the Pittsburgh Zoo! He's a good buddy born 10-4! Started Show Career with a "BANG!" Fleece to get Passionate about! Prince Harry-knock your socks off! Born on Veteran's Day ....Hou Rah! GO GIRLS & BLACK!!! + HOUDINI BREEDING!! "I'm a SHF Andean Gold Son"
He's RIPPIN'! Renee's Favorite Alpaca! Tahj stands for Silver Crown! The ladies love his style! Thank you Central Hill Alpacas! He's a Zinger that's for sure! Check me out 2015 Priority Auction! 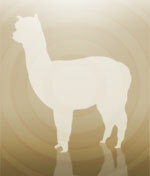 "The Cream of the 2010 Cria Crop"
Thank you Broad Creek Alpacas!